Corsica is breathtaking - a must visit place. I'm going to tell you why, and give you some of my recommendations of places to visit and stay. Recently (September 2017) I had a child free holiday on the Island of Corsica with my Husband. I know! So lucky. It was not only special because it was just the two of us, but also because of where we were. Corsica - what's all the fuss about? Corsica is a popular holiday destination for the French - the flight from Paris into Fiagro Airport was about 1.5 hours and inexpensive. It can be a little more tricky to get to from the UK depending on where you fly from - only a little - but I promise, absolutely worth that extra effort. It's one of those places where, because the masses aren't visiting yet, its has a bit of an undiscovered charm about it. It retains an exclusivity. 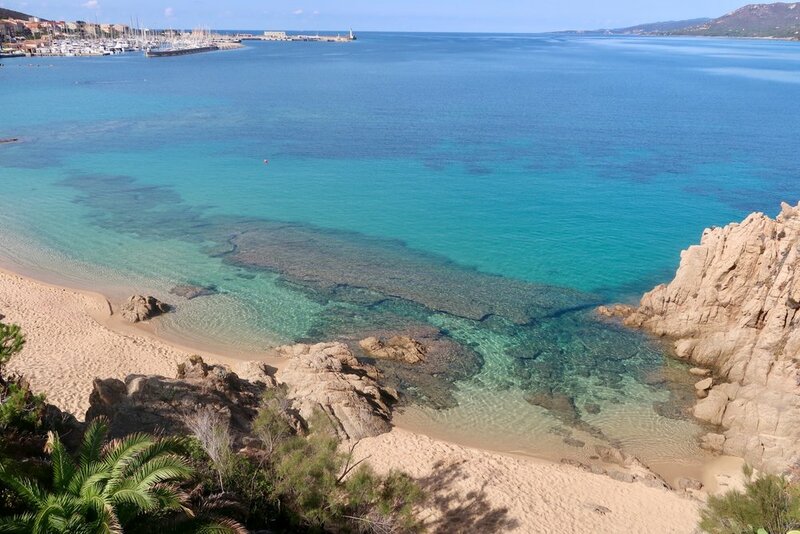 For people in the know as to how lovely Corsica is. 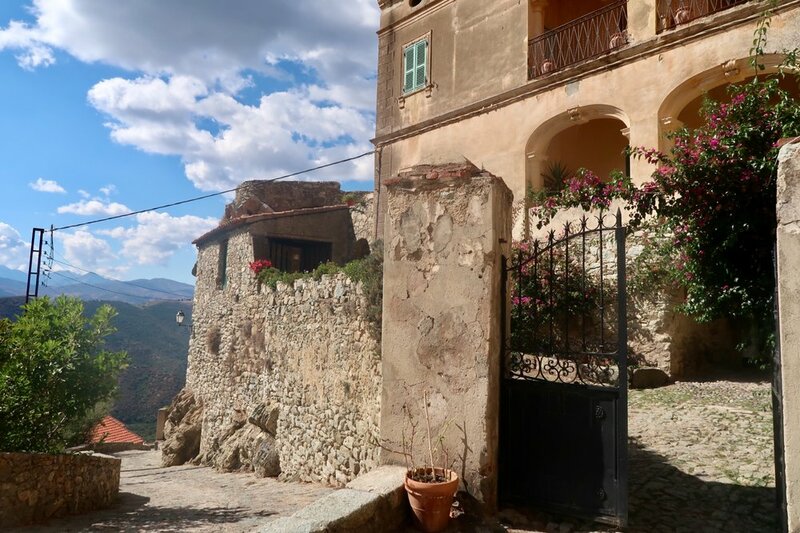 Somehow it manages to preserve its old charm and beauty, without seeming run down - a delicate balance that Corsica wins at hands down. Visiting out of season, late September for us, was a perfect time to go, because the weather was still beautiful (sunny and around 25 degrees). It was fairly quiet as the main tourist season, with the school summer holidays, had passed. I suspect the same would be true of early season too. This said, we are planning to go back with the children in the school holidays next year. This is really saying something about visiting Corsica, as I don't usually like to go back to a place more than once when there is a big world to discover. We really wanted to see as much of the Island as we could so we hired a car and stayed in 3 different places during our week away. Then we went to Propriano for a couple of nights. After there, we headed further north into the mountains to Lama for two more nights. Then we headed back south to Porto Vecchio for our final 3 nights, where we stayed in a simple Apartment booked through Booking.com. This served us well as there was a lot more going on there so we were out and about most of the time. We stayed in 2 gorgeous hotels which I particularly want to share with you, and recommend. Whenever we want somewhere that is special, my first port of call is the Small Luxury Hotels website, and they haven't let us down yet. The Miramar hotel is really special. With its meandering set-up in the terraces of the hillside, it's relaxed, palpably chic, and the attention to comfort and detail everywhere is impressive. We got a little room upgrade on arrival which was nice too. The deck restaurant above the tree canopy is so zen, the food was delicious, and my mojitos mixed to perfection. My personal favourite part of the hotel are the 2 mini hot tubs overlooking the sea. Very romantic. A slight negative is that the hotel is set above a road and there is almost constant background road noise, which is a shame. Overall though this is a fantastic hotel, in a lovely area, and I am very pleased we stayed here. 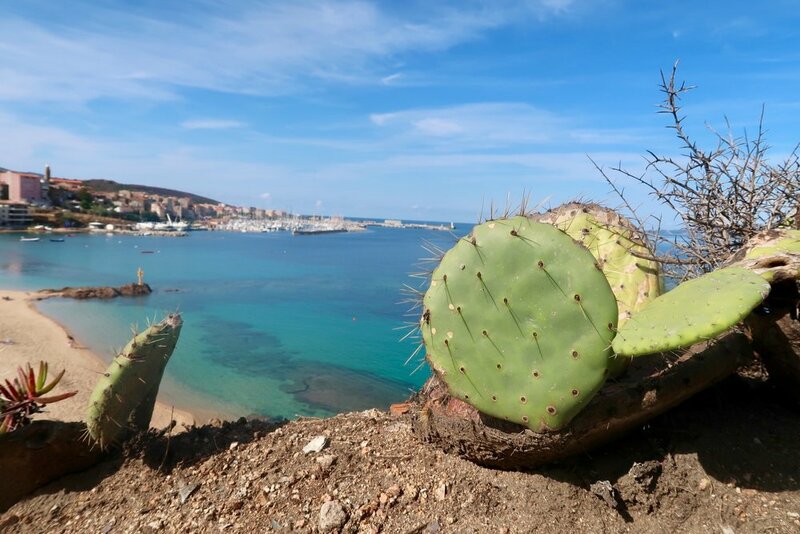 We popped into Propriano for an explore one morning. The September weather was glorious and the sea is a beautifully clear enticing azure. 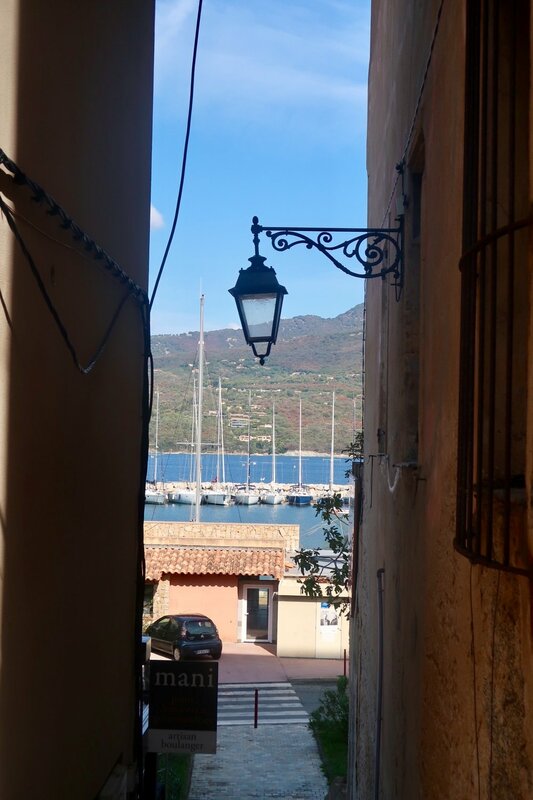 The harbour was inspirational - I just love having a nosey at the big catamarans and sailing boats. And I had the yummiest salad for lunch. Hotel Case Latine, towards the North of the island, is a hidden gem, cocooned in the hillside. It's really rather remote and up high in the mountains. Quiet, peaceful and breathtaking. I'd even go as far as to say that this was amongst the loveliest hotels we've stayed in. Our room was really a villa. Our own self contained little abode, with courtyard. The decor was dreamy. A perfect mix of natural and gentle modern - and oozing with easy classy style. Simple, but perfect. Hotel Case Latine is in, and overlooks, a medieval town called Lama - the likes of which I have never seen before, with a beauty beyond words. 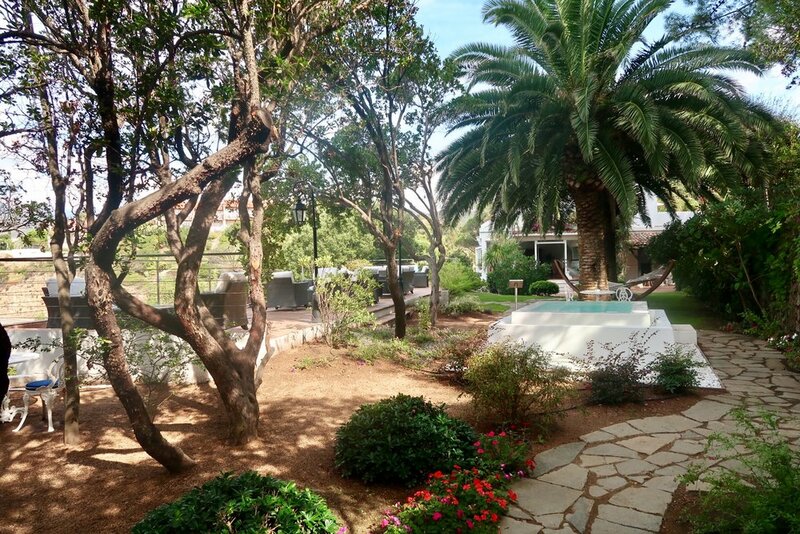 If you visit Corsica you simply MUST try and stay here. There is an independent restaurant right next to the hotel. We had 2 absolutely beautiful meals, in a sophisticated and yet relaxed environment - perfectly in tune with the hotel ambience itself. The continental breakfast is served by the hotel, on the top terrace. I used to think continental breakfasts were a bit of an anticlimax, (being a British girl, I like my hash browns, Lincolnshire sausages and baked beans!) but the breakfast in Hotel Case Latine was superb. AND, whatsmore, 20 minutes down the road from this magical place is an unspoilt beauty of a beach. This is honestly heaven. When we were staying in Porto Vecchio, we found a restaurant called "Linda Beach" recommended on Trip Advisor. What a little gem of a find this was. Seek it out, but book or get there early. When driving from Propriano to Lama (between the 2 hotels detailed above), we stopped en route in a town called Corte. We had lunch at a busy and nice restaurant in the the area by the Fontaine des Quatre Canons by the wide steps. It was a lovely stopping point and I would recommend it. From Porto Vehicco we took a full day boat trip from the harbour which was absolutely fantastic. There was a group of about 10 of us on a lovely boat. We stopped in several places for swimming, snorkelling, canoeing (the equipment for all of this was on the boat), and drink (including alcohol) and all meals/snacks were included. On our last afternoon we visited the beaches at Plage de Santa Giulia, next to Palombaggia. They are This was a beautiful enclosed cove with calm crystal clear water and white sand. We both remarked it would be ideal for families because the water is also very shallow until a long way out. It was clearly a popular and well known place, as even off season it was fairly busy. There seemed to be plenty of activities and water sports going on there. Beautiful beach ideal for families as water is very shallow and sandy. We want to go back here with the children. 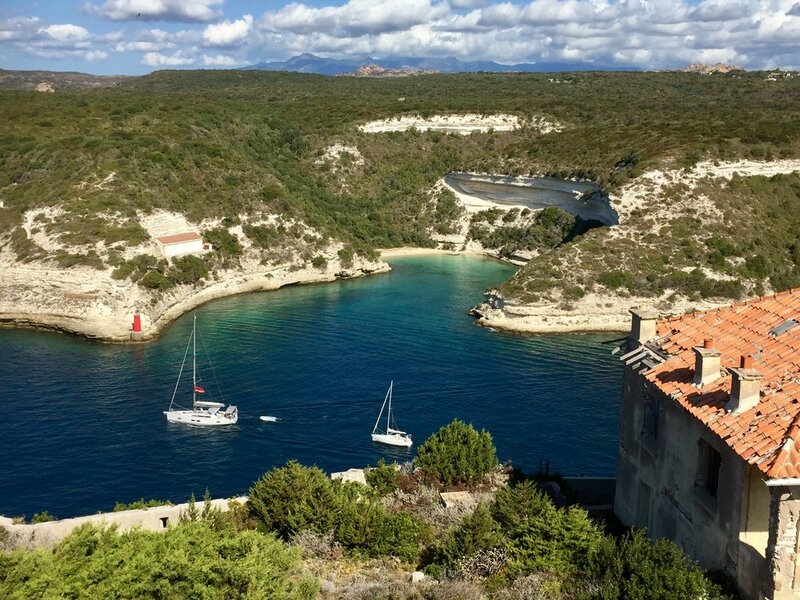 When we go back to Corsica with the children we would also like to explore the North of the Island as we hear good things about Calvi and the coast around there. Watch this space. If we do, and love it, I will be sure to let you know. I am head over heals in love with Corsica. Visit! As soon as you can. Make it a priority!